Today in more beauty things you have to buy. Say buh-bye to your red and burgundy lippies for now. Popping shades of fuchsias were the hottest hues we spotted all over the S/S 2015 runways! It’s a fresher way to wear a bold lip and it’s a lot easier to pull-off than a hot pink hue, too. We’re totally in love with the lively color (even J.Lo wore this hue during her recent guesting on The Ellen Degeneres Show) since it’s a genius way to brighten your skin tone and add a feminine accent to your makeup du jour. 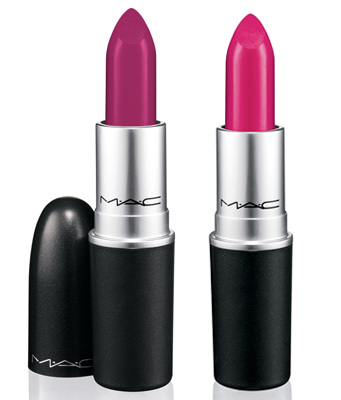 Our picks: MAC Lipsick in Flat Out Fabulous (left) and Girl About Town, P1,000 each.